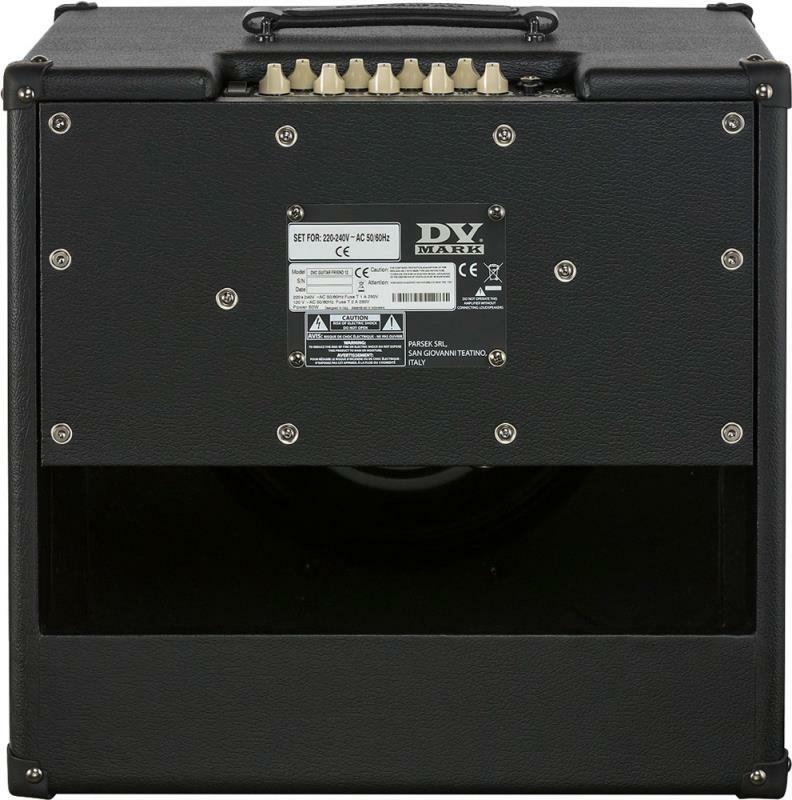 The DV Mark Guitar Friend 12 is feature packed little powerhouse. Weighing is at just 8.7kg (just over 19lbs) this 1x12 combo is ready to become a loyal friend of you and your guitars.\n\nTwo channels (clean/lead) and all the easy-to-use controls you'd expect plus reverb, aux in jack (for CD or MP3 player) and mini-plug headphone jack, and XLR Line Out to run your guitar amp through the P.A. for bigger gigs.\n\nThe DVC GUITAR FRIEND 12 delivers a classic tone, focused sound and 50W of power in an ultra-compact and ultra-transportable design, its Input special circuit is optimized to perfectly interface with all the most used guitar effects. The Dual Voltage Switch 120V/240V also allows to use the amp all over the world!